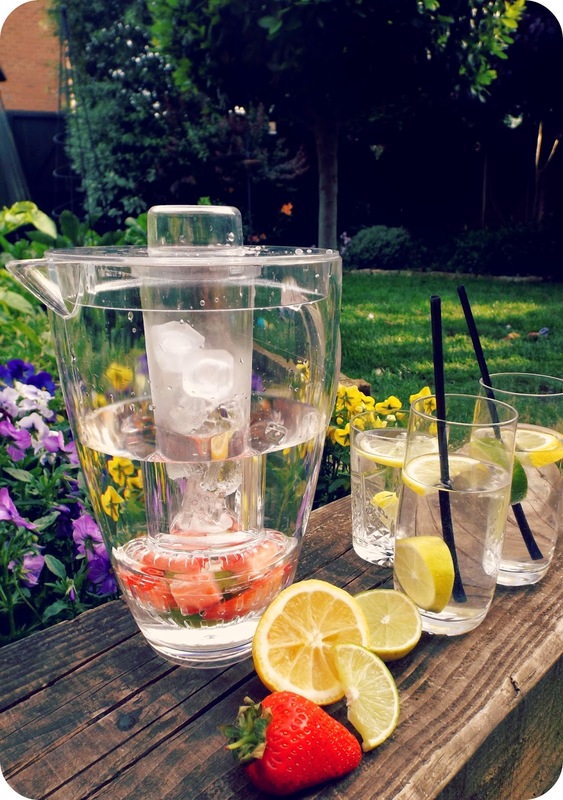 Fun in the Sun: Ultimate Summer Drinking Gadgets at Drinkstuff + Giveaway! Judging by recent weather, it looks like we're set to have a sweet, sunshine-packed summer, so naturally I've been planning some serious summer drinking accessory shopping to keep my thirst quenched and my tan topped up in style. 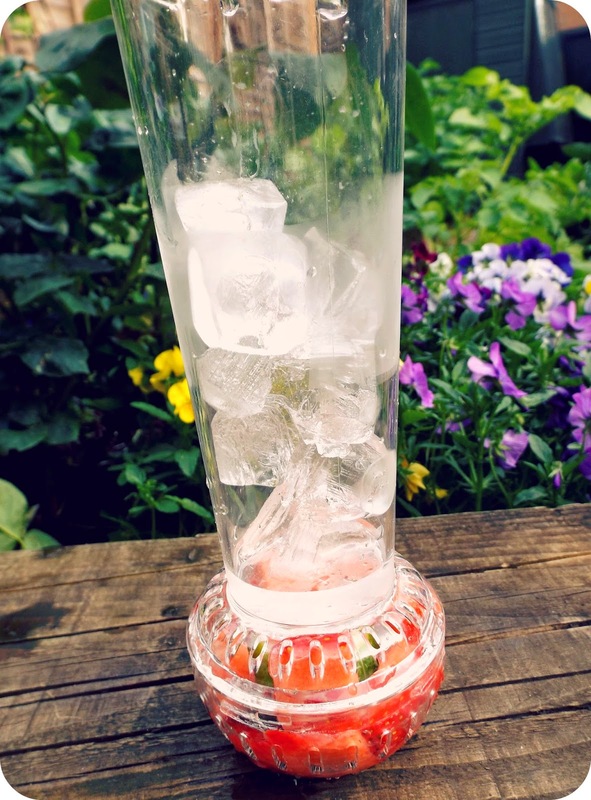 The lovely guys at drinkstuff asked if the Vinspire team would like to give a few of their essential summer drinking gadgets a try, and we absolutely jumped at the chance. I mean, we'd already featured some of their seriously cool accessories in our al fresco drinking piece last summer (hello handy wine glass holder for picnics and PENGUIN ICE CUBES) and so we were excited to see what new delights they have in store. Laura: Pictured above, this item was my treat to try, and it really exceeded expectations. What you do is grab some juicy fruit, pop it in the globe at the bottom of the infuser tube, and then fill the tube itself with massive ice cubes. Then you fill the jug with water and it will slowly infuse with delicious fruity goodness for a healthy and refreshing drink to sip in the garden. The flavours do start to infuse straight away, but if you really want a fruity kick then do what I did: leave the jug to infuse for an hour in the fridge, and then pop the ice cubes in the tube and you're ready to go! I was so impressed with the flavours and the ease of use - and it's big enough for a good four or five glasses of water before you need to fill it up again. Of course, if you do want to booze it up, it's also pretty tasty to fill the jug with soda water and your spirit of choice (I went with Mount Gay rum, James Bond style, which is only £15 at Tesco! ), and let the fruit turn it into a juicy light punch. And then there's iced tea. Think of the iced tea possibilities! Jo: Plastic? Check. Fun? Check. Ready for a party? Check. For best results, wait until the sun goes down before bringing out these glowing flutes. 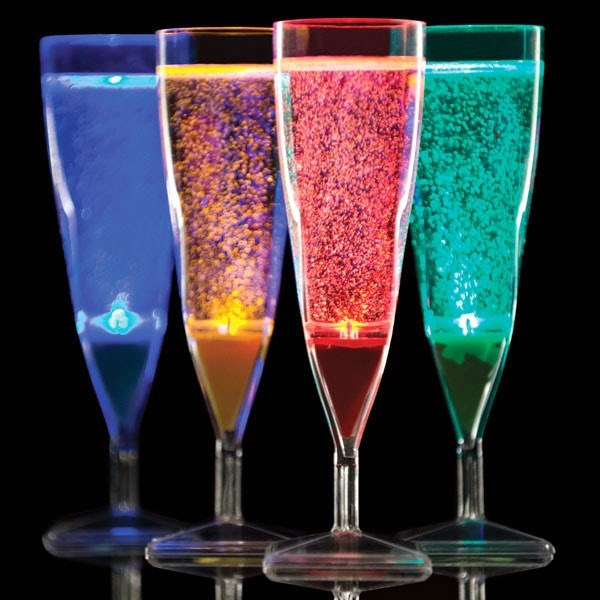 These funky plastic flutes are fitted with coloured LED lights (one each in blue, green, red and yellow) which are activated when the flute is filled with your tipple of choice. The effect is instantaneous - a sure fire party starter if you're guests aren't expecting it! Bubbles are an obvious choice and really allow these flutes to shine in all their colourful glory. We popped a bottle of Cava, and though my first sip was with trepidation as the flashing green was incomparable to any glass of Cava I've experienced before, the fun element took over. For a low-light or outdoor party, these flutes are fun and sure to spark conversation amongst guests. What's more, they're plastic, so party-friendly and no breakages to worry about! 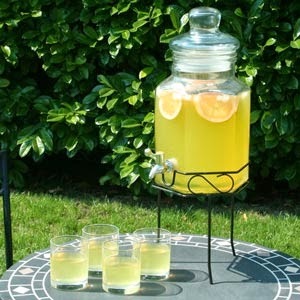 Sam: I was sent this beautiful table top drinks dispenser. A nice vintagey looking hexagonal glass container complete with tap for easy pouring and it even has its own little wrought-iron looking stand to complete the look! It holds approximately 5 litres of whatever you desire, and you really can fill it with anything, so go nuts! My only tiny criticism is that the tap is a little bit slower to pour than I expected, but my goodness, it more than makes up for it in style and convenience! Plus if the night takes an unexpected turn you can always just take the lid off and use it as a giant cup... Seriously, though, if you fill it with a nice fruit punch or a giant G&T it's the perfect addition for any summer garden party! Hugo: A fantastic accompaniment to a responsibly boozy summers day are Chillrocks. These wonderful little fellas are plastic cube-esque psuedo cylinders that contain a magic freezable solution. 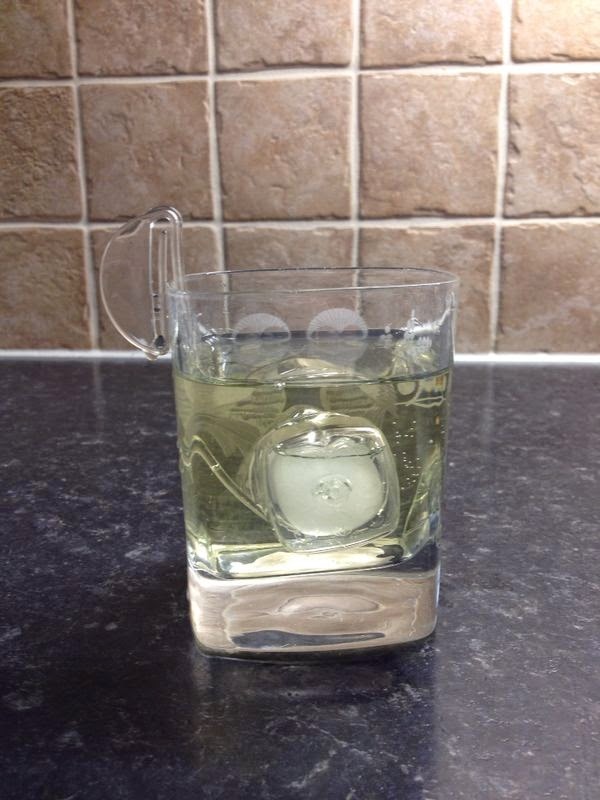 Chill rocks are able to cool your drink without diluting its wonderful contents! This makes them perfect for using with whiskies if you like them with ice and avoids a personal hell of overly cold and watery whisky that has lost almost all remnants of flavour. A wonderful little touch comes in the form of the stalks that attach to the rim of your glass to stop an unwanted assault on your face and any risk of choking or what have you. The stalks are in two sizes for longer and shorter glasses and this also enables you to stack the rocks... Double trouble! In a pack you get 4 rocks along with 8 stalks, the packaging is great with everything snugly held in a plastic carry case that let's you take your freshly cooled drinking on tour (do not drive whilst drinking or drunk children). Just leave a comment under this blog post telling us what you'll be drinking in the sunshine this summer! The competition is open until Monday 23rd June at 1pm - we'll pick the winners at random and announce who they are on Tuesday 24th June! Good luck! It's summer Pimms for me! Pimms or chilled Pear cider - perfect for a summer bbq! I'll be drinking homemade elderflower cordial with a surprise! Iced roobios tea - delicious! Orange juice for me. Yes, exciting! would be lovely to have a reason to make my own special non alcoholic drink, I always spoil my guests with alcoholic treats while me and the drivers get j20 or o juice! I love a cold, fruity jug of Pimms. Pimms its my go to summer drink every year! I like a Mojito or lime cordial. Pimms, and all of the gin.